Students can practice their addition facts building the numbers 13 through 20 in different ways. 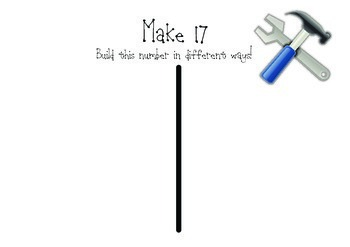 For example, how many ways can they make 14? 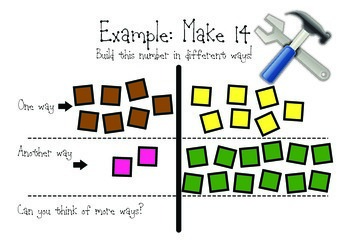 Spark their learning with the Example Page and then set them loose to discover on their own! You may want students to use base ten blocks, connecting cubes or to draw/write directly on the page. Laminate for extended use. Included: 1 Example Page and separate pages for the numbers 13-20.